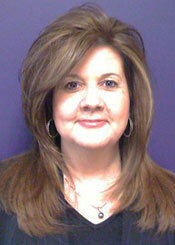 Jennifer (JJ) has over 26 years experience in business operations, accounting and customer service. She was the Director of Operations at IKON Technology Services for fourteen years. In this capacity, JJ was responsible for managing approximately 40 staff engineers delivering outsourced staffing, maintenance and IT integration and support services to both the Government and Corporations. The support piece encompassed overseeing a 24/7 help-desk and worldwide deployment of communication servers to the Army. Upon leaving IKON, she began her own IT service based company and worked in that capacity until 2005 when she launched Suite Solutions. As co-owner of Suite Solutions, JJ has a keen eye for maintaining the highest standards and uses astute accounting practices to ensure optimum efficiency to afford the best value to our customers.